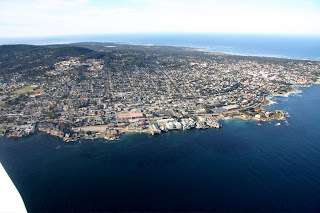 Airship Ventures: Back to Monterey in January! We liked it so much, we're headed back to Monterey January 16, 17 and 18! Tickets are available for the transit flight down to Monterey and back as well as for flights during that weekend. If you missed out last time, or are curious to see the delights of this wonderful part of the California coastline, call our guest services team (650) 969 8100.